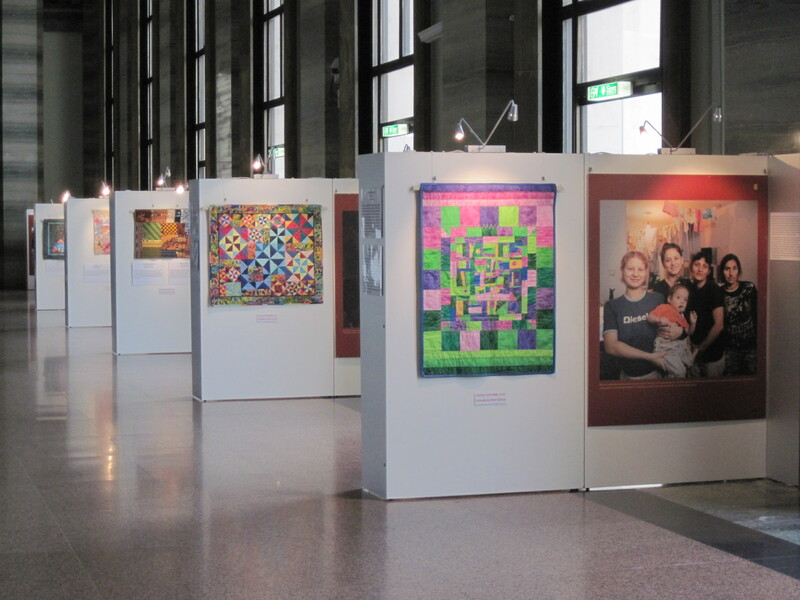 In the summer of 2009, the U.S. Mission to the United Nations in Geneva, Switzerland, broadcast a challenge to quilters to help promote the important work of the Global Fund to Fight AIDS, Tuberculosis and Malaria. Quilters were invited to create quilts related to this theme highlighting the challenges in fighting these three pandemics, and to submit them for display at the United Nations in Geneva. 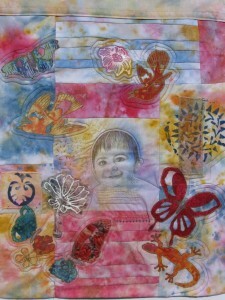 The 16 moving quilts in this exhibition come from 27 quilters in the U.S., Canada, and Europe. The exhibit opened at the United Nations European headquarters at the Palais des Nations in Geneva, Switzerland, in November 2009 attracting thousands of visitors. 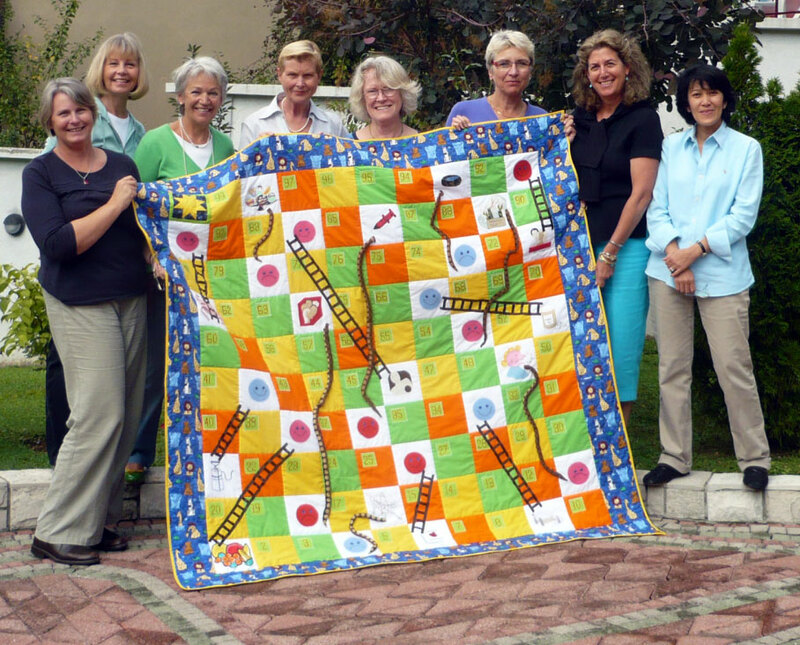 The quilts then toured seven cities in the United States with Mancuso Quilt Festivals in 2010. The quilts also were displayed at the Machine Quilters Expo East in Providence, Rhode Island in April 2012. Our deepest appreciation goes out to Mancuso Quilt Festivals, for featuring the exhibition at their seven quilt festivals around the U.S. in 2010 and to Friends of the Fight for their support in making the U.S. tour possible. 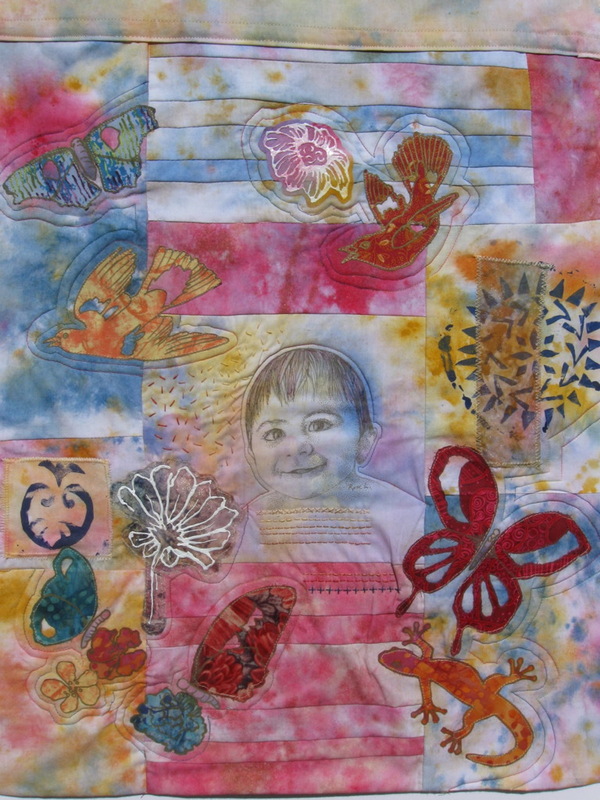 To view the quilts from the exhibit “Making a Healthier World for our Children,” read artists’ statements and find links to artists’ websites, click here. Founded in 2002, the Global Fund to Fight AIDS, Tuberculosis and Malaria is a unique global public/private partnership dedicated to attracting and disbursing resources to prevent and treat HIV/AIDS, tuberculosis and malaria. The Global Fund works in close collaboration with other national, bilateral, and multinational organizations, including the U.S. President’s Emergency Plan for AIDS Relief (PEPFAR) and the President’s Malaria Initiative (PMI), to support countries’ efforts to fight the three diseases.